• Support your child in their pursuit of music. Regular practice is the key to learning how to play an instrument. Most importantly, consistently attending your lessons, participating in and encouraging performance in recitals, group lessons and other student events. • Encourage weekly music enhancement time at the studio. These programs will help the student progress faster. There is no additional fee. • Remind and encourage students to practice at least 5-6 days a week. Practice should be 15-30 minutes each day for beginners. As the students progress more practice time will be required. 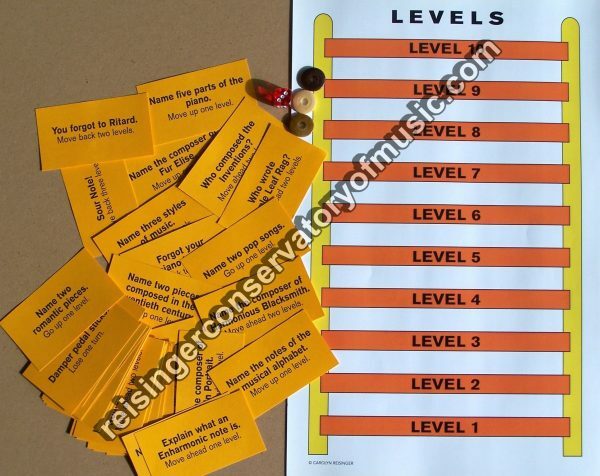 Help students keep a practice chart and a regular practice time. • Parents, teachers and students always need to keep an open communication with each other. This will help ensure success. • Always provide encouragement for your musician. Rarely, does criticism provide good results. Music is a series of gradual steps. When praised for their efforts, students will excel. • Drop off and pick up your child in a timely manner. In case of a scheduling error, when dropping students off, always make sure they are safely inside before driving off. Reisinger Conservatory of Music is not responsible for students left unattended. We do not provide a day care service and cannot be responsible for the student after their lesson is finished. • Do not send cell phones to the lesson unless the teacher has requested them for learning purposes. If the student needs their cell phone be sure they are aware it is not to be used during the lesson. • Arrive promptly at your lesson time. You have reserved the time slot, not the number of minutes. Students who arrive late will receive their remaining lesson time. This keeps the studio on schedule and the other students will remain on schedule. • It is very important that you have your student sign the agreement to practice that is included on the tuition agreement. This will show them the importance of their commitment. Signed agreements need to be returned to Reisinger Conservatory of Music before the first lesson. • Be financially responsible and avoid late fees by paying your tuition on time. Please do not have your children bring the tuition payment. • Parents agree to give a 30 day written notice when stopping lessons. Failure to give a 30 day notice will result in charges to the students account until proper notice is given. Lesson termination will not be accepted by anyone under the age of 18. No refunds will be given for withdrawal from instruction. • Keep your instrument tuned and in good repair. Students will practice more if the instrument is pleasing to play and hear. • Provide a practice environment that is free from interruptions. • Be sure the practice area is well-lit. • Provide a convenient storage area with easy access for their books. • Keep informed of studio lesson and event dates through the studio calendar and through the E-mail communications sent by Reisinger Conservatory of Music. • Remember to complete all of your assignments that the teacher has given to you. Student assignments are clearly marked. • Be sure to review any instructions the teacher has given you at the previous lesson. This will help you to learn your pieces. • If you do not understand, please be sure to ask your teacher to explain again. In order for you to practice more effectively, we want you to understand. Teacher cell phone and E-mail have been provided. • Cell phones are not allowed at the lesson unless your instructor requests you to bring them..
• Practice at least 5-6 days a week. Practice should be 15-30 minutes each day for beginners. As you progress more practice time will be required. Use your practice chart to record practices. 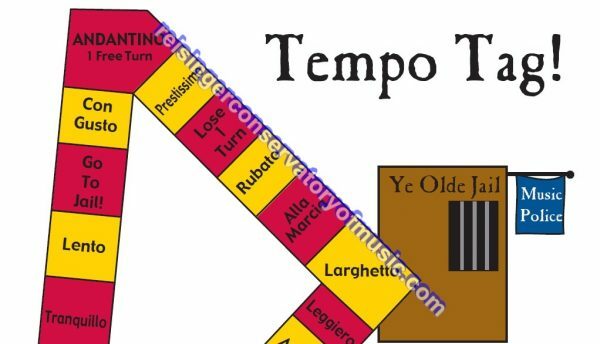 • Save time before or after your lesson to complete weekly music enhancement programs. • All students are required to sign a commitment agreement. • Provide each student with the personal attention and respect necessary to develop his/her individual talents. 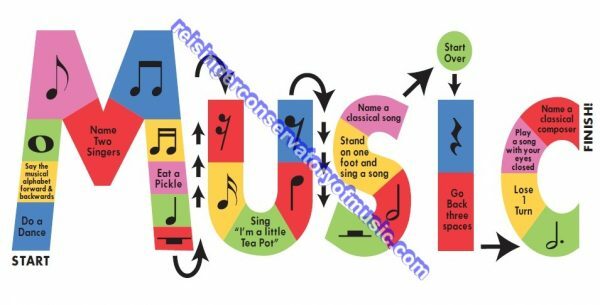 • Guide each student to a greater understanding and enjoyment of music. • Guide each student towards an awareness of her/his capabilities – clearly communicating short-term and long-term goals. This may be verbal or written communication. • Encourage a feeling of success at each student’s individual rate of learning. • Guide each student towards Musical Independence through a balanced program of theory, technique and repertoire. Theory is the key to understanding the music that is being learned. Technique – the physical mechanics of the instrument. Repertoire –pieces to be learned based on a well-rounded curriculum. This is essential to gaining an understanding and appreciation for all kinds of music. • Answer and address any concerns that the parent or student may have. • Encourage open conversations about goals and preferences. Students are expected to attend all of the scheduled lessons. If you must cancel a lesson please give a 24 hour notice. Students are encouraged to attend all lessons each semester. A specific lesson time has been reserved for each student. Please plan lesson times accordingly. Students who attend lessons regularly excel and grow a deep love of music. Reisinger Conservatory of Music has a 38 private lessons per year of which you are billed in 12 equal installments. In addition there are 6-8 group lessons per year. Students who are ill should not come to lessons. We reserve the right to send a student home if they arrive sick. If a student has head lice or any other communicable issue, they need to stay home until the issue is resolved. Because specific times are set aside for each student, a student who does not attend a lesson will simply miss the benefit of that lesson. The instructor will then use that time or other times to plan for the student’s progress, locate materials etc. Please be assured that your tuition pays for far more than the time spent with your child. There are no refunds, discounts or makeup’s given unless the instructor is unable to teach the promised number of lessons. Summer participation in lessons will be expected and is scheduled on an individual basis. Each student is learning a new language. Without reinforcement, new ideas, a change of pace and regular practice – they lose the skills they have worked so hard to attain over the course of the year. The investment made is far too great to take several weeks off and expect to pick up right back up where they left off. All students can choose their own combination of private and/or partner lessons, and group classes over the summer. Summer lessons will guarantee a fall lesson spot. During the summer, students can sign up for any combination of offerings to fit their schedule. Recitals take place throughout the year. In June we have our formal spring recital. In December our less formal holiday recital/party. Students are expected to participate. There are also many other optional events throughout the year that students may choose to participate in for an additional fee. State & National festivals, Theory Exams nursing, Music Link fundraisers and other events are available. Please ask your instructor for details if you are interested. For promotional purposes Reisinger Conservatory of Music reserves the right to use photos and videos of student’s performances and great musical times. 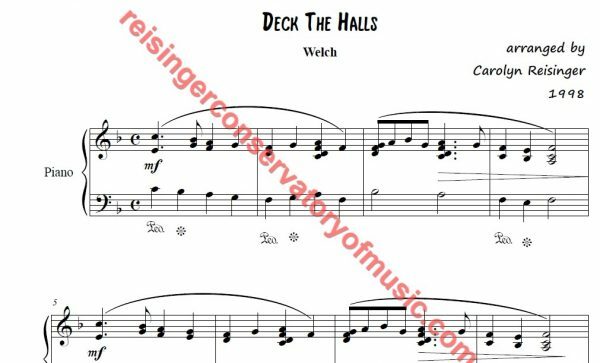 All photos and videos are the property of Reisinger Conservatory of Music. Tuition for private lessons at Reisinger Conservatory of Music is based on a yearly calendar divided into 12 equal payments. Your instructor guarantees that they will be prepared and present to teach 38 weeks per year. Reisinger Conservatory of Music accepts Cash, checks and automatic bank payments. (By using your bank’s bill pay system, payments arrive in a timely manner and late fees are avoided.) Please do not send your children with the tuition payment. Our tuition and enrollment fees are non-refundable. Ever wonder where your tuition dollars go? Parents often ask how much we charge “per lesson”. Well…we don’t have a ‘per-lesson’ fee. We’d like to give you some insight on what your yearly tuition fees cover, so you can better understand what exactly we as a music school provide for you. Teacher experience, Formal & Informal Education. Teacher Development. Learn new music, practice. Teacher accomplishments and continued affiliation in other music organizations. Continuing adjudication for State and National organizations. Giving Reisinger Conservatory students exact knowledge of testing procedures. Staying up to date on State, National & local performance opportunities. Being an involved member to all local groups. Groups include (but are not limited to) MMTA, NFMC, MTNA, SSMTA, AVMTA, MMTF. All of these groups have monthly meetings that help each teacher with ideas for to help better their learning experience. Student’s gain countless benefits from these organizations. Maintain all studio handouts & online accounts such as FaceBook, You Tube, Website, Twitter etc. Produce new products/games etc. to help students learn more efficiently. Researching and purchasing software and technology for students. Learn new software-teach to students how to utilize. Arranging Recital & group lessons. Setting up topics and dates. Preparing research for individual students & student purchases. Use of recordings at lessons. Subscriptions to online music training sites. Researching & setting up Studio Insurance programs. Keeping up to date on Teacher Publications. Researching & purchasing of high quality instruments. Maintenance and tuning of instruments. Specialty instrument care/humidity controls to maintain quality instruments. Time spent shopping for and purchasing music for student. Paying shipping and handling fees for students. Travel expenses. Office supplies, stickers candy & other incentives for students. Bookkeeping/ Prepare and file tax information/paying Sales, Property & other taxes. Book recital venue, choose music for students to perform, arrange recital programs, etc. to assure everything goes smoothly recital day. Recital Preparation-Organize snacks, drinks, treats, obtain all needed supplies for the actual venue. Preparing recital programs, printing and folding, sorting. Lesson Scheduling. This task can be very intimidating when working with 50+ students! Preparing Theory programs for each individual student. Group lesson planning and execution. Purchasing supplies-drinks, treats, prizes, handouts etc. Cleaning up afterwards. Summer programs planning and execution. Choosing a course of action and devising a lessons program that is appropriate to each individual student. Helping students choosing colleges, occupations etc. Career coaching. Plan and enforce studio policies. Learn songs by ear to teach students when there is no music available. Purchase, and organize Awards program. Keeping Student library stocked for students use. Keeping track of inventory and replacing missing books. Test preparation & special event preparation. Students participating in State or National exams require many more teacher hours. Filing and registering and preparing all materials is a very extensive process. Keeping up to date on all new requirements for exams students. Providing binders, sheet protectors, photocopies, book repairs for students.